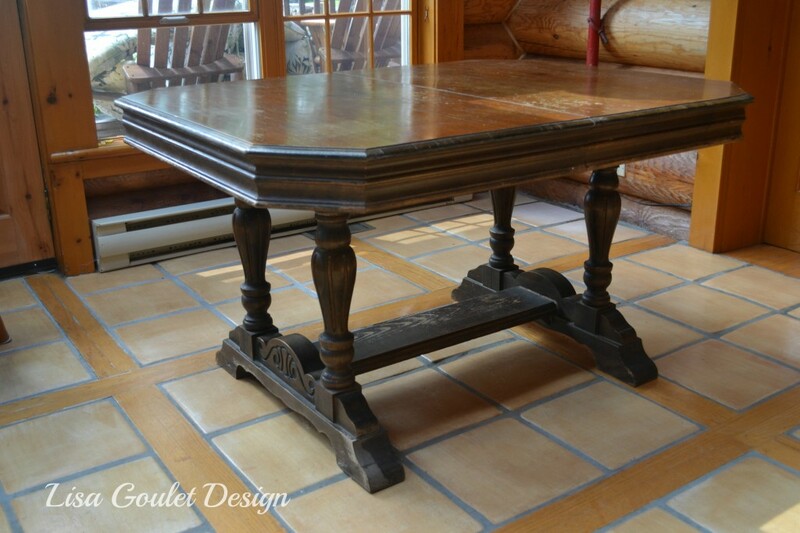 And we have a Refinished Table! Happy New Year! Hope you had a restful and fun filled holiday! Mine was great, very relaxing, spent a lot of time with family and definitely ate and drank too much. But then, that’s what the holidays are all about. 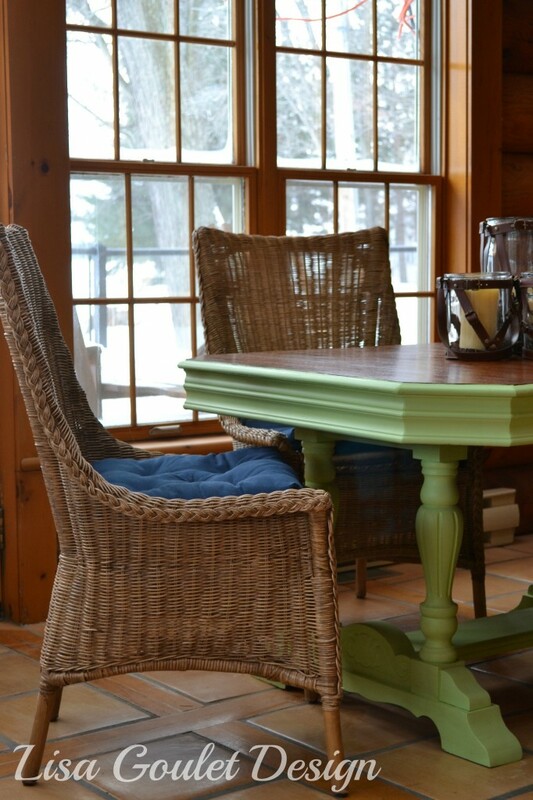 We spent some time at the cottage and I managed to finish my table makeover, finally. It was more of a job than I thought, but isn’t that usually the way. I had to make a compromise or two on the way but I still am very happy with the way it turned out. It’ll be perfect for our card playing evenings come summer time. So to refresh your memory this is how the table was looking. It was in pretty rough shape. To read my original post, click here. 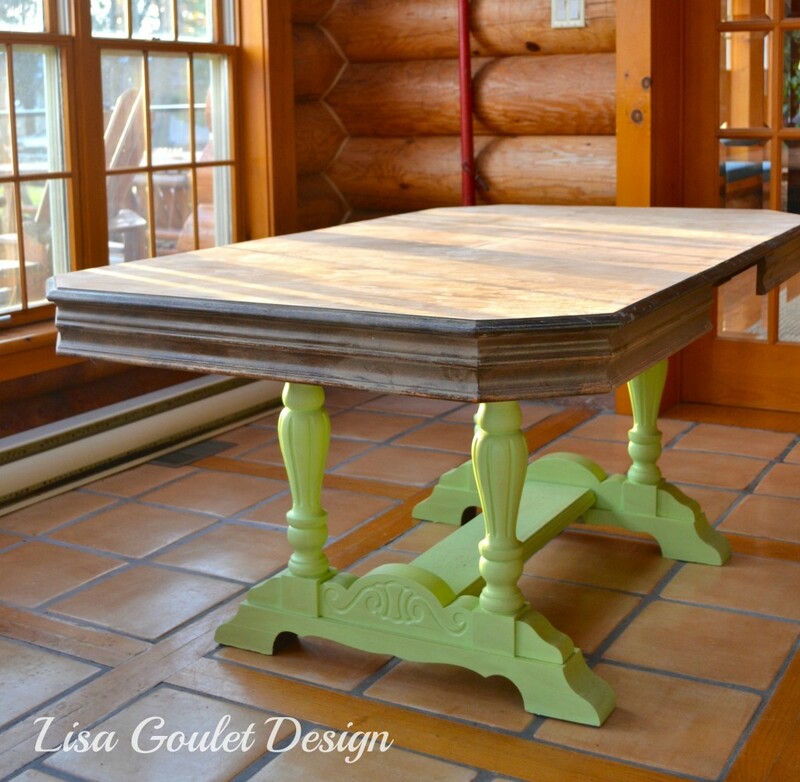 I sanded slightly and painted the base in chalk paint (made by myself – click here for the recipe) in this bright green. 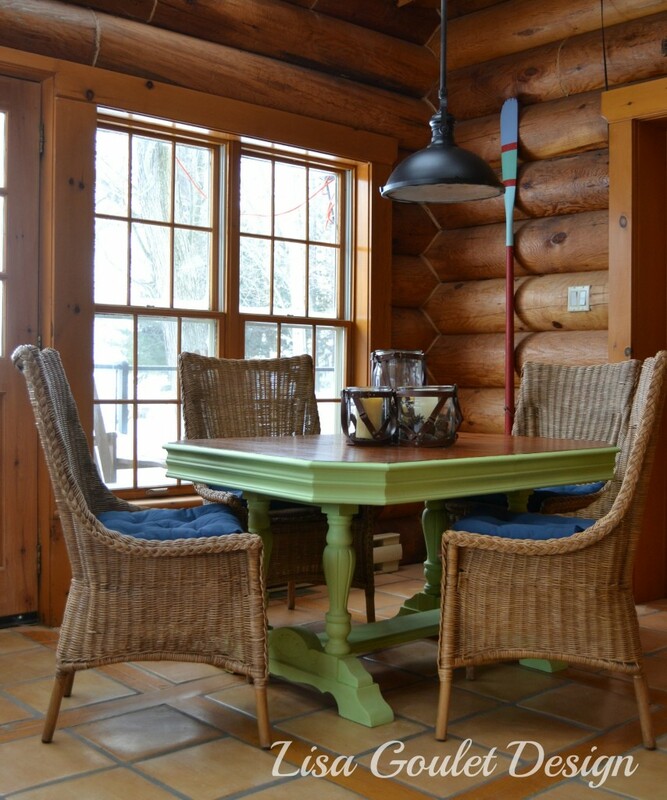 I wanted to bring some lightness and freshness to the sunroom. Next up, I sanded the top which was much more arduous than I originally thought. The original finish kept gumming up the belt sander and then we tried the palm sander, which unfortunately due to our over zealous sanding caused many ripples in the surface and horror of horrors, went down to the plywood base…so much for it being a solid wood top. Luckily, most of our boo boos were in the leaves of the table which I usually do not leave in place, as I prefer the smaller footprint in this room. So after finally getting the top sanded, it looked like this. I had originally intended to sand the apron by hand and stain it the same as the table top, but after trying to do just a small area, I was totally discouraged and decided on the simpler and faster route of painting the apron the same as the base. I know a bit lazy, but I really don’t have that much patience. So I painted the apron and then stained and varnished the top (with a satin polyurethane) and here’s the finished result. 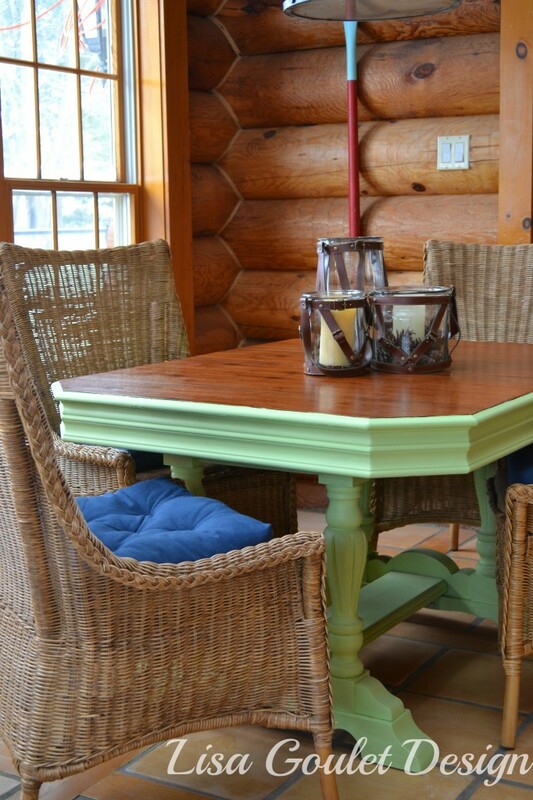 I love how by painting the base and apron the details show up so much more than just staining the wood. Sorry to all the wood lovers but there is definitely enough wood in this home!